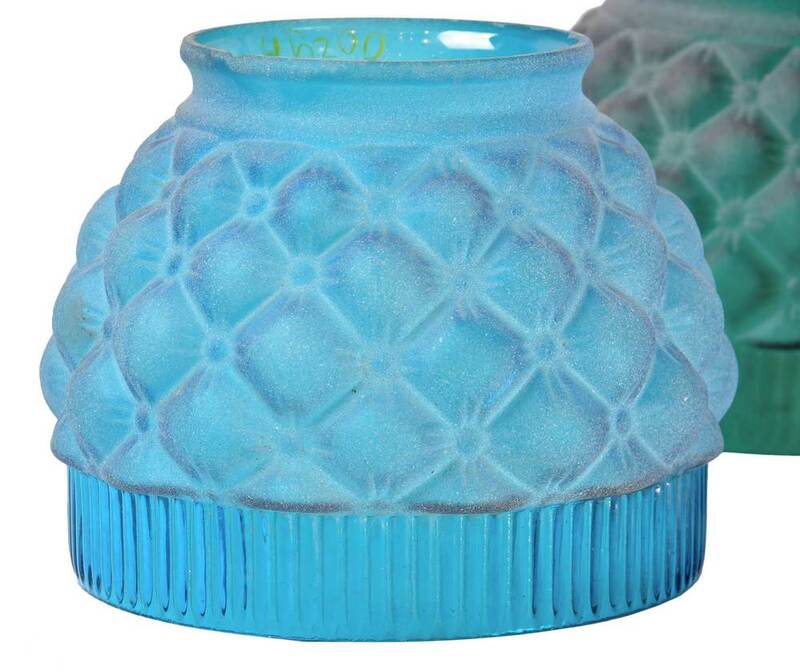 Beautiful aqua colored Pairpoint hand-blown glass shades with decorative quilted pattern and ribbed border. Available in blue (2 available) or green (sold out). Pairpoint has the distinction of being America's oldest glass company. It claims its humble beginnings as the Mount Washington Glass Company in 1837 South Boston, under the direction of Deming Jarves. 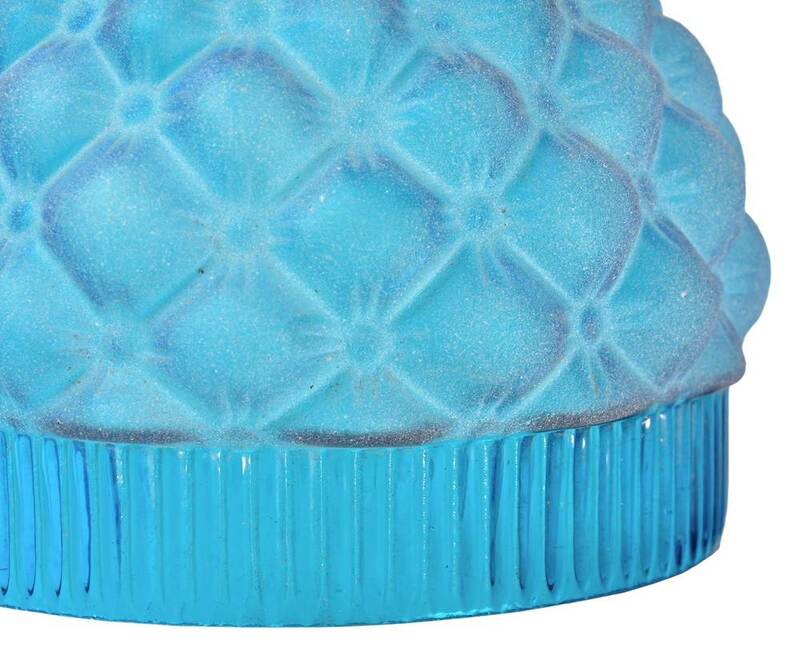 Throughout the next 50 years it became known for producing the finest glass in the United States. The company as it is known today emerged in 1894 when it merged with the smaller glass firm next door and changed its name to Pairpoint Manufacturing Company. Examples of the exquisite craftsmanship can be seen in over 30 museums across the country, including the Art Institute of Chicago, the Smithsonian collections, and our very own Minneapolis Institute of Art. Be sure to include the Product ID (AA#S1078) when making your offer.